Desingner Robert Trent Jones Jr.
Sta. 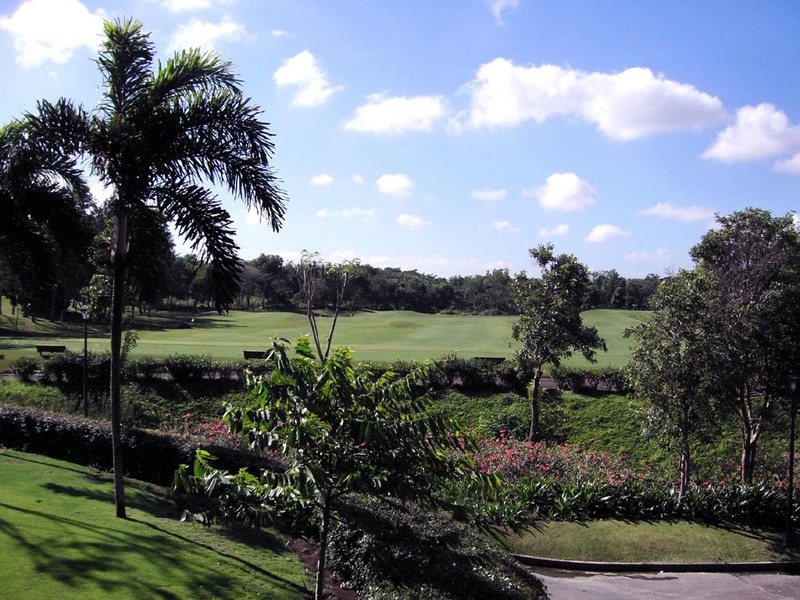 Elena Golf & Country Club is a 27-hole championship facility: 1st, 2nd & 3rd nine holes and it's one of masterpieces designed by Robert Trent Jones Jr. 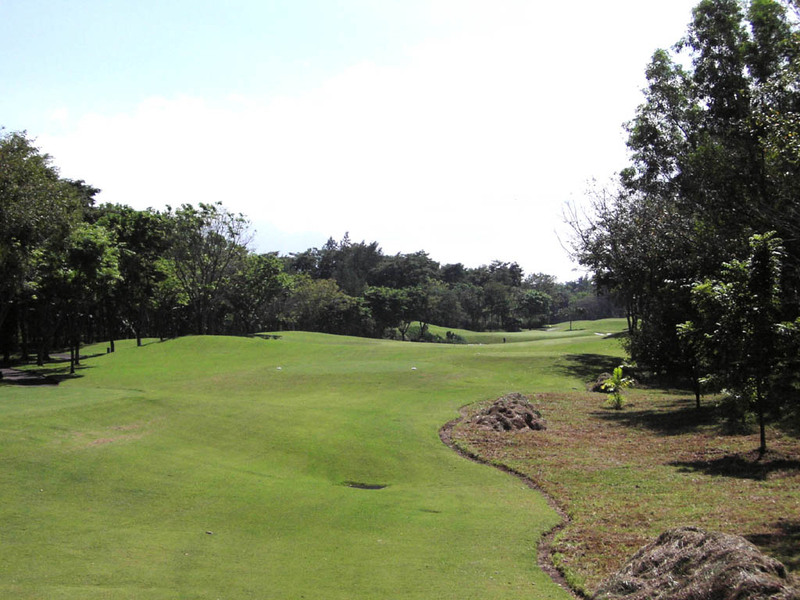 The best 18-hole combination is called Sierra Mardre Course (3rd and 1st nine) that is the most fun to play among 27 holes. 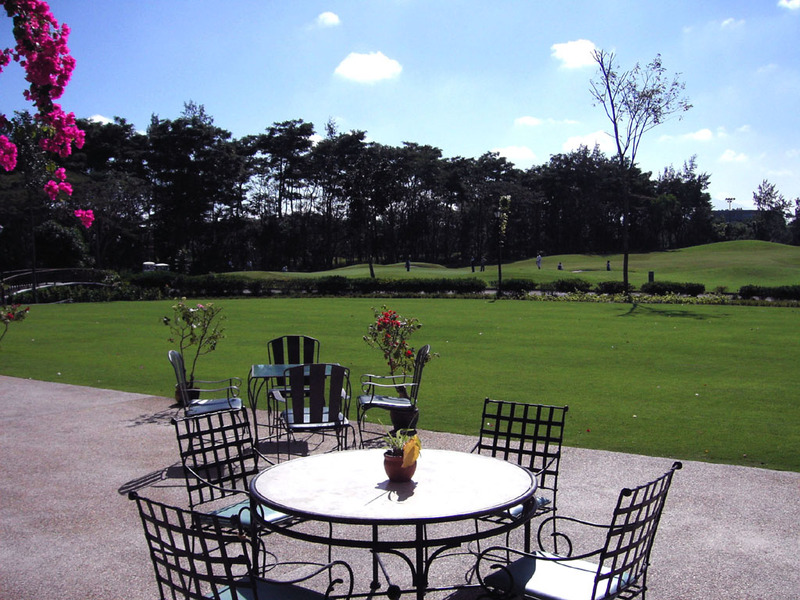 The course is relatively flat in lush forests with good scenery and a rural atmosphere, which blends perfectly with the surrounding environment. Water comes into play on many holes on the front 9 while there is a lot of variation with doglegs left & right on the back 9. No hole really stands out as "a signature hole." 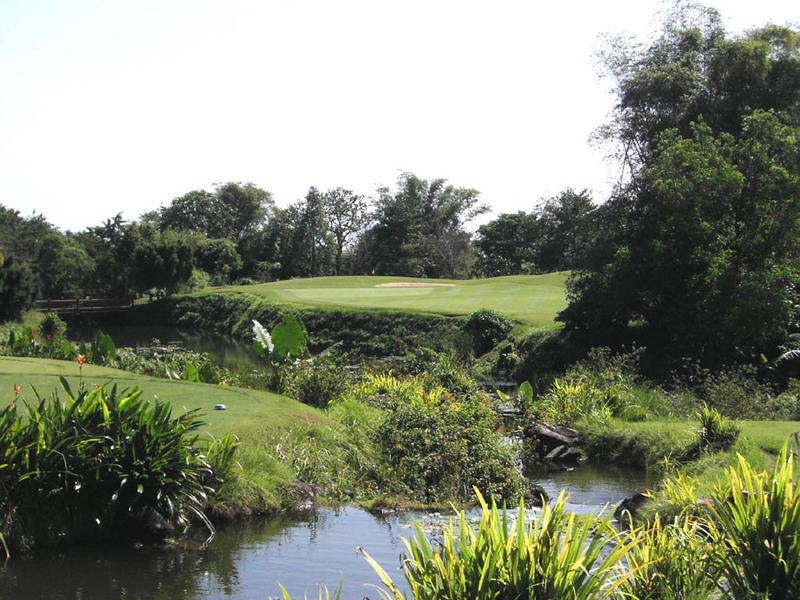 Rather, the holes seem to flow harmoniously together, taking full advantage of the ravines and gently rolling terrain. 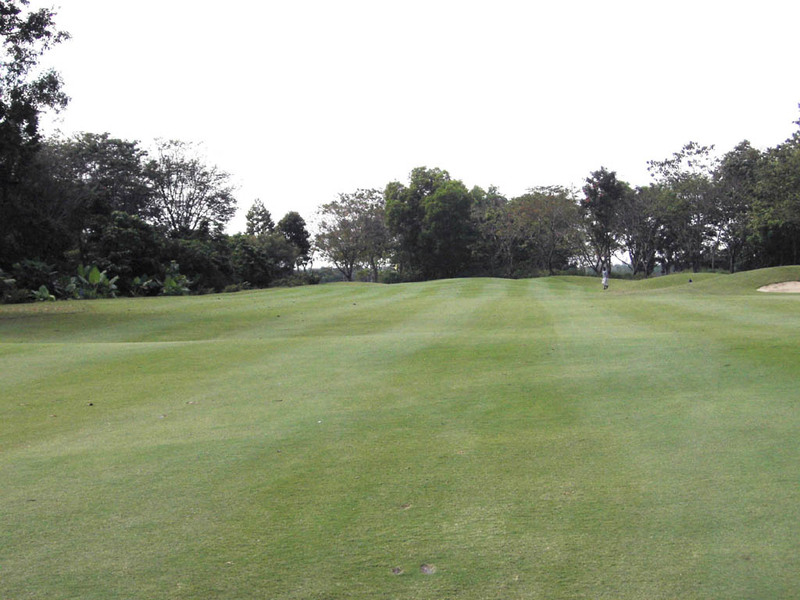 The greens are good and fast, which surely attracts advanced players. 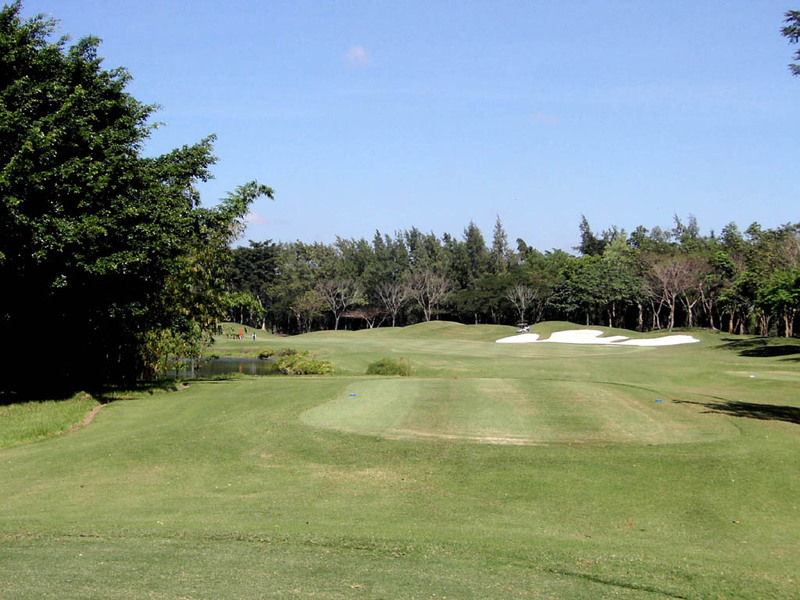 An errant tee shot gives you trouble because the relatively tight fairway is guarded by trees on both sides. The green is narrow in depth and guarded by a bunker on the right and a hollow on the left. A par 3 over a river with great scenery. The river runs from the front of the green to the left side. An almost straight hole with river on the right. The green is swung to the right and the river crosses in front of it. 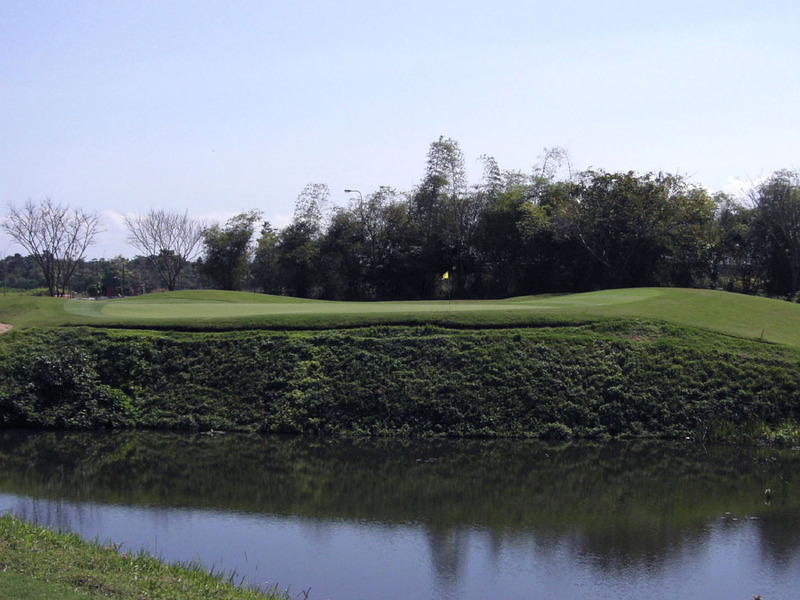 The approach shot is intimidating because at the edge of the green is a wall bordering the river. 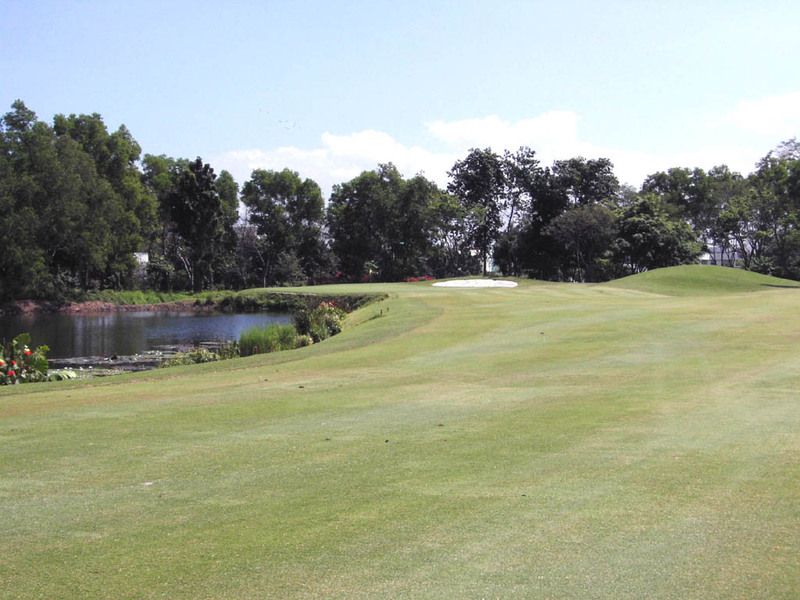 The right side of the narrow fairway faces a lake on the tee shot, so an accurate drive is needed. 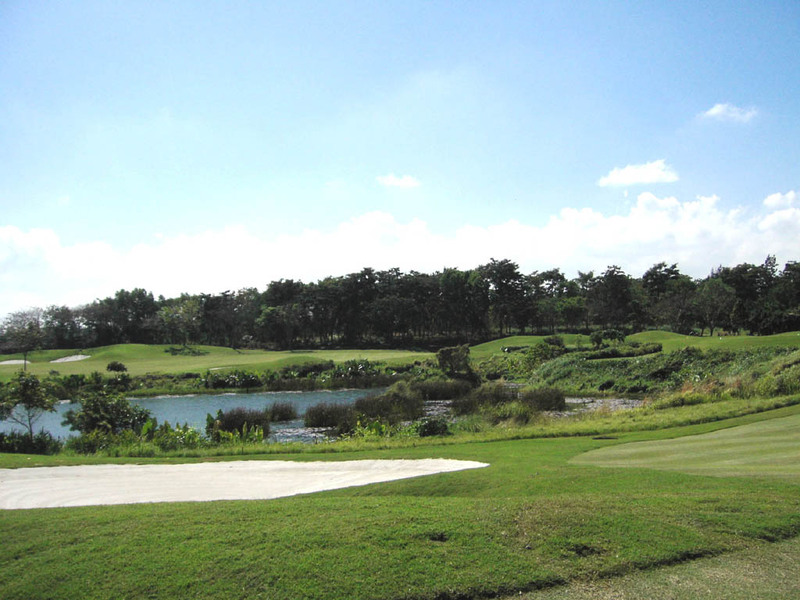 A creek runs along the right of the fairway and the green on the slightly uphill second & third shots. A beautiful par 3. A bunker in front of the green comes into play. 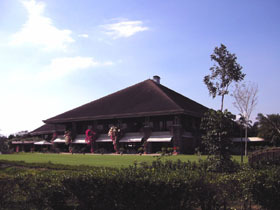 A lake and its surrounding scenery seen from the green are excellent. A challenging dogleg to the left with a lake on the left of the fairway as you drive and well positioned bunkers on the right side 220-240 yards off the tee. The tight fairway is guarded on both sides by bunkers on the second shot. The green is big and slopes slightly from the back to the front. A difficult and straight hole. 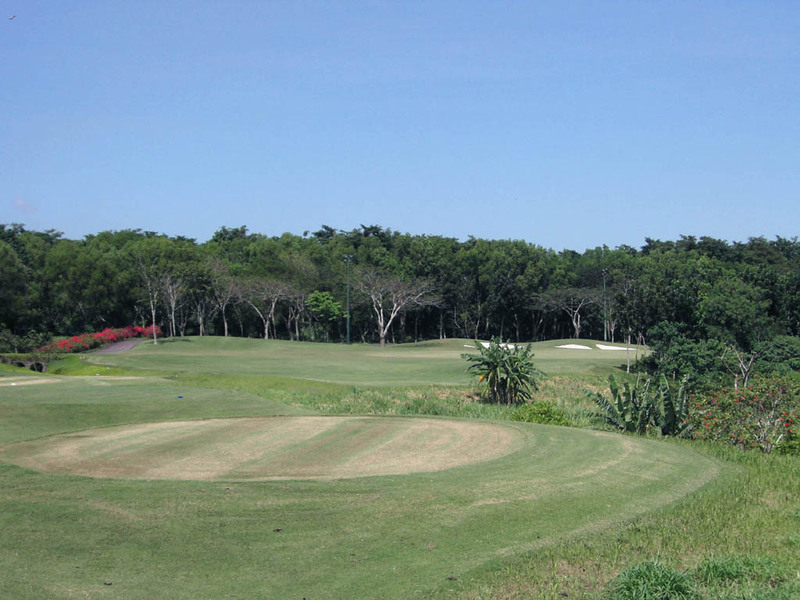 The tee shot is intimidating because overhanging trees squeeze the right side of the fairway. The second shot is over the river and you should hit long rather than short because the front side of the green faces the water. 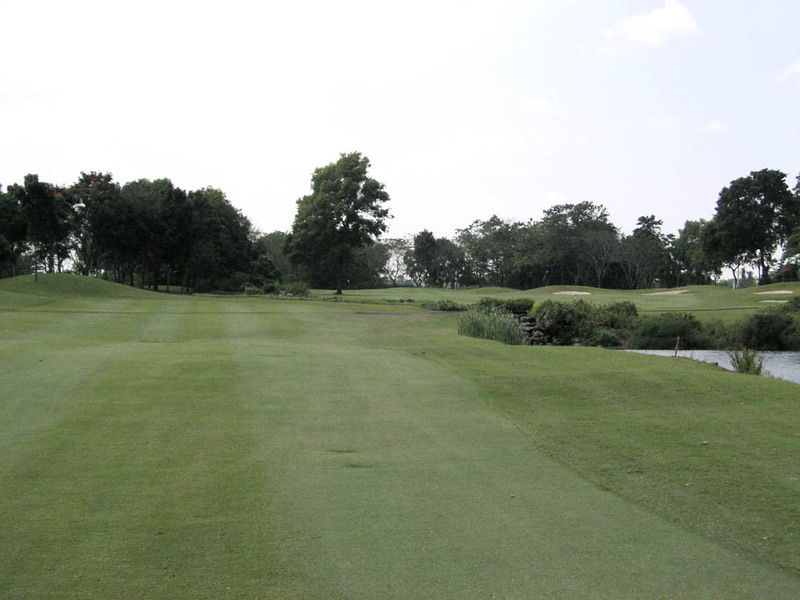 However, if you hit over the green, the downhill approach shot is demanding because it slopes to the river. The key to success on this hole is an accurate second shot. This is a hole where you are very happy saving par. 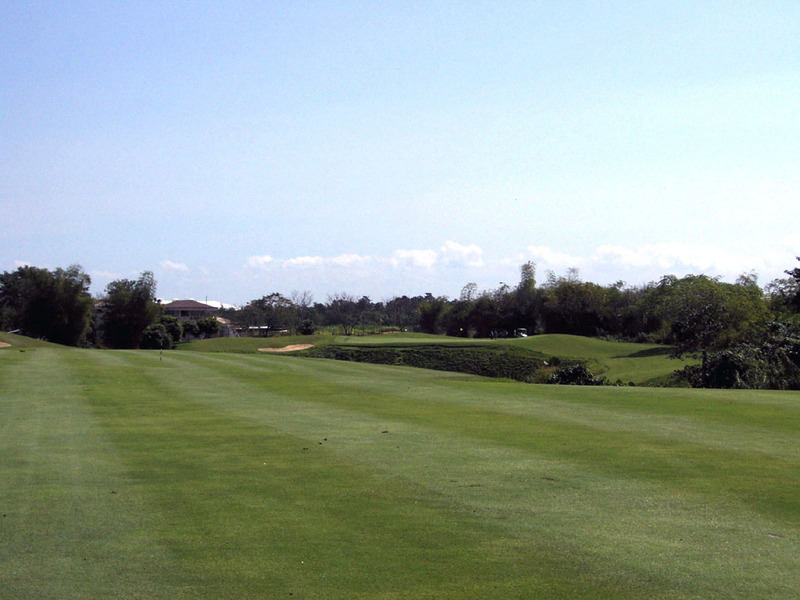 A challenging, slightly dogleg to the left with a lake facing the left of the narrow fairway. It feels much longer than the yardage because the wind often blows against you. The green is swung to the left and its front side faces the lake. The green is narrow in depth is also guarded by a deep bunker on the right and a hazard on the left, so a precise shot is needed to hit the green. A par 5 curving to the right and then further to the right like a crescent moon. A long hitter can hit the green in 2 by making a short cut over the ravine on the second shot. When you decide to lay up, it is safe to place the second shot to the left of the fairway bunker positioned right over the ravine. It takes one hour by car from Central Manila. You need to be accompanied by a member to play here. 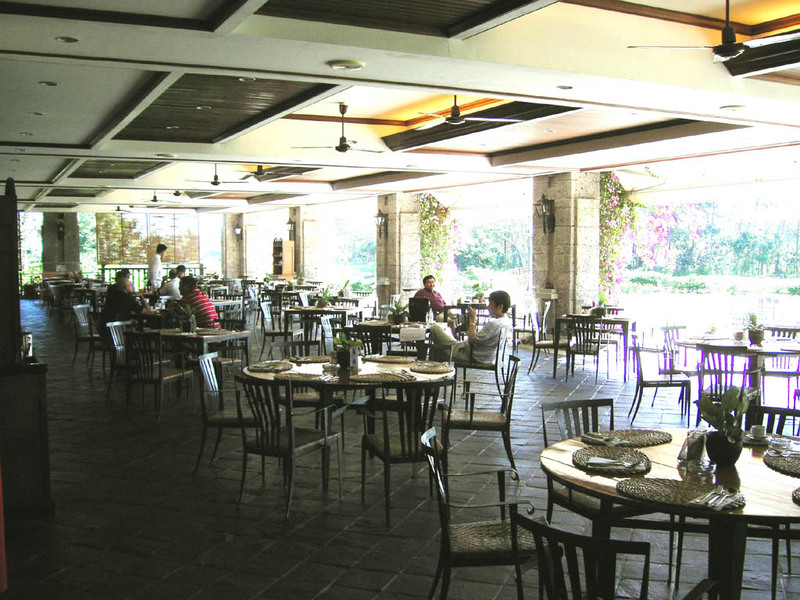 The restaurant was comfortable and the meals were delicious and inexpensive. The caddies were well trained. 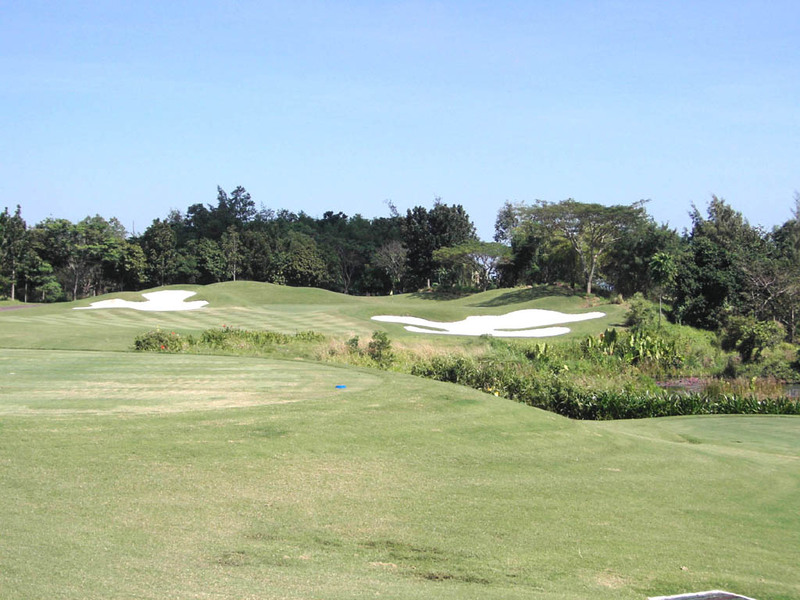 The course was voted as the best course in the Philippines by Golf Magazine Asia in 2003 and 2004. The other Robert Trent Jones Jr. designed courses in the Philippines are Canlubang G&CC, Caltagan GC, Summit Point GC and Pueblo De Oro G&CC. 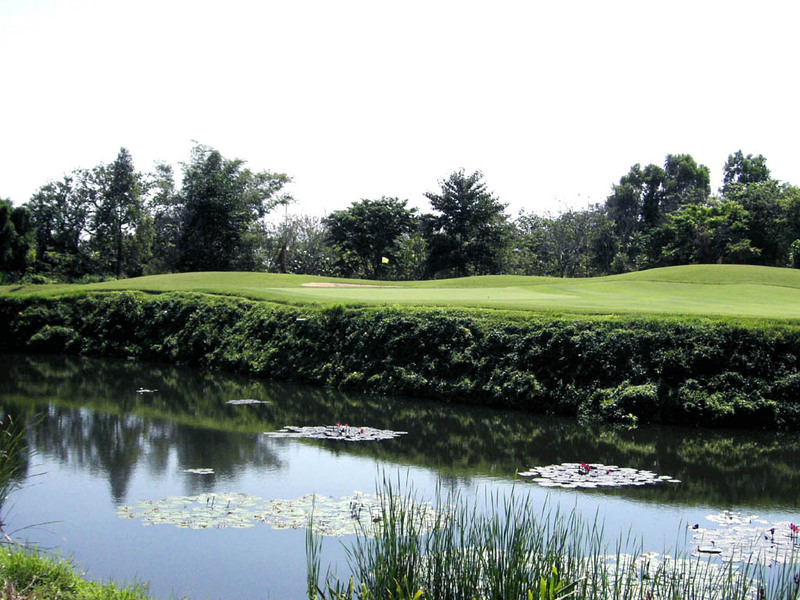 His father designed Luisita G&CC, the only course Robert Trent Jones Sr.’ s designed in Asia.